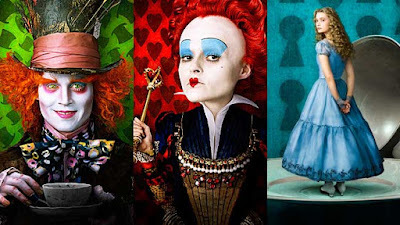 Tim Burton’s "Alice in Wonderland" releases in theaters TODAY! Okay, so that’s not news to anyone, but I had to say it. I need to share my excitement with the world because “unhealthy obsession” does not even begin to describe my love of all things "Alice in Wonderland." 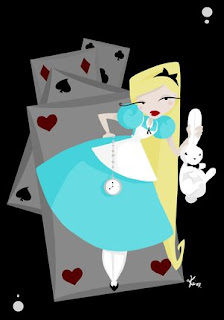 I don’t really remember when it started, but for as long as I can remember I have adored everything Alice and been fascinated by everything Wonderland. 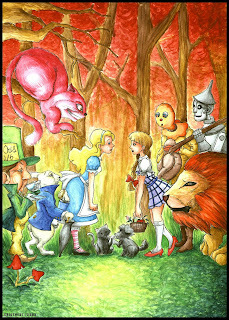 I guess, looking back, you could say that "Alice in Wonderland" was my early introduction into world building. It sounds odd saying this, but I owe a lot to Lewis Carroll – To this book. I watched the Disney movie first as a child. 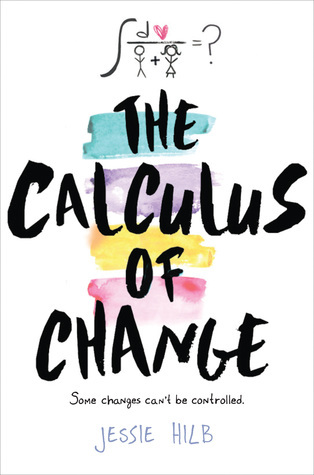 After that I read the book for the first time and discovered the beauty of escaping into a fictional world. It was one of my first reads, my first experience with fantasy, and my first real literary attachment. And Alice and I have stayed very close over the years. Regardless, the story stuck with me. I’ve followed its evolution, watching all the movies and TV specials and reading anything I could get my hands on that gave me insight into that world. 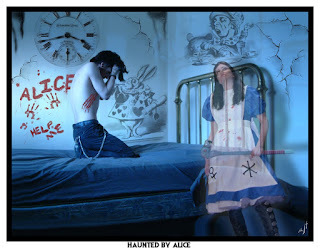 In high school, I wrote my senior paper on the real Alice and the origins of the story. 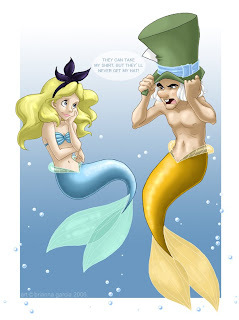 In college, I did an art history project on Lewis Carroll’s photography. 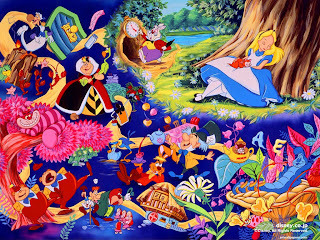 Throughout my adult life I have collected "Alice in Wonderland" art and paraphernalia. My office is positively littered with it. • Author Lewis Carroll’s given name was Charles Lutwigde Dodgson. • Carroll stammered when he spoke. • He studied to become a priest but was never ordained. He met the Alice Liddell and her sisters Lorina Charlotte and Edith while working at Christ Church, Oxford. They were the children of Dean Henry Liddell. 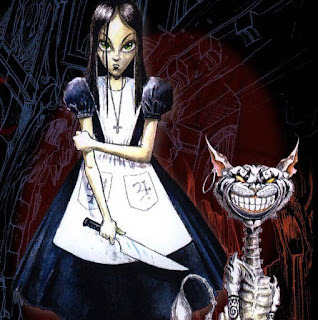 • Nearly all of “Alice’s Adventures Underground,” as it was originally called, was told to the Liddell sisters on a boat ride down the Thames River from Folley Bridge near Oxford to Godstow in 1862. Carroll was later persuaded to publish his story by author Henry Kingsley. It was released in 1865. 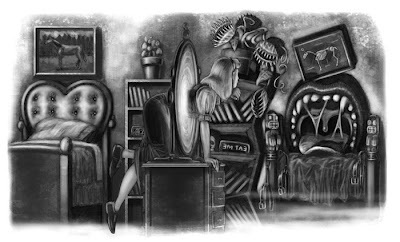 • Tenniel’s illustrations of Alice are not illustrations of Alice Liddell, who had dark hair and bangs. Lewis Carroll sent Tenniel a photograph of Mary Hilton Badock, a childhood friend, and recommended that he use her as a model. It is uncertain if Tenniel accepted the suggestion. • Dinah was the name of a cat that belonged to the Liddell children. She appears early on in Alice in Wonderland then again in the first chapter of Through the Looking Glass. • At the end of Chapter 2: The Pool of Tears, each animal in the pool represents someone in Alice Liddell’s life. The Lory represents her sister Lorina; The Eaglet, her sister Edith; and the Dodo is Lewis Carroll himself. When he spoke his own name and stammered, saying Do-Do-Dodgson. 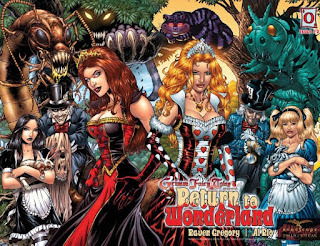 • “Grin like a Chrshire cat,” “mad as a hatter,” and “mad as a march hare” were common phrases in Carroll’s day. • Original sketches of the croquet game reveal that the mallets were not originally flamingoes, but ostriches. 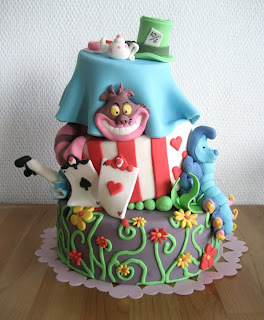 • In Chapter 7: A Mad Tea-party, it is established that the day is May 4, which was Alice Liddell’s birthday. • The dormouse tells a story of three girls – Elsie, Lacie & Tillie – who lived at the bottom of a treacle well. The three girls are the Liddell children. Elsie for Lorina Charlotte, Lacie is an anagram for Alice, and Tillie was an affectionate family nickname for Edith. 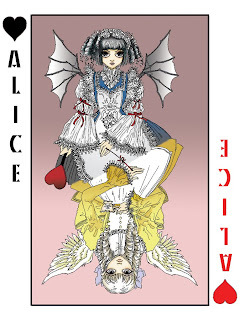 I also absolutely love seeing how other Alice fanatics express they’re undying devotion. The art in this post is some of my favorite and below are some links to the book, the movies and a photo series that I think is amazing. 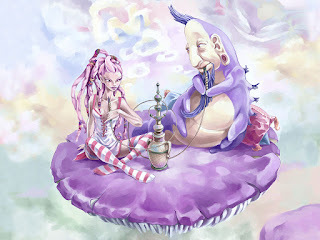 Read Alice in Wonderland online HERE. 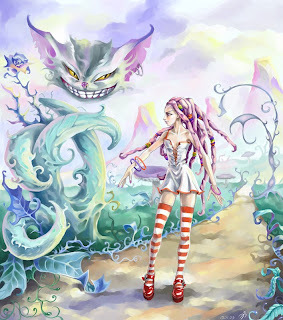 Listen to Alice in Wonderland HERE. Here are some other pieces, ranging from funny to downright dark. I completely share your obsession! 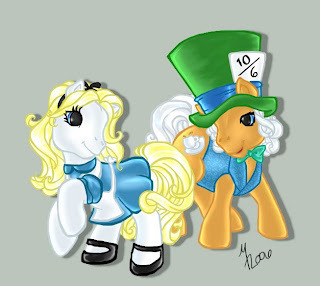 Disney's Alice in Wonderland is my favorite Disney movie, my book blog's name is Door to Wonderland, I dressed up as Alice in my school's Winter Festival "Disney character day," an alternate email address that I use is lookingglass91, and my first cat's name was Angel Dinah. I also liked reading the facts on Lewis Carroll. I have heard of some of the them, but not most. Have you read The Looking Glass Wars trilogy by Frank Beddor? I think you would really enjoy it. I sure did!